Invitation Only is a boutique wedding planning firm based in Summerville, right outside of Charleston, that has been creating stylish and memorable weddings since 2013; specializing in full and partial wedding planning. We also provide month-of wedding coordination for those of you who wish to plan your own wedding and just need some guidance in the month leading up to it. While we do specialize in wedding planning, we are also experienced in corporate event management, as well as private party planning. linens and many specialty items to fit your unique style. We work closely with larger rental companies in the area, so if you don't see something in our inventory, we are happy to get it for you from our friends. 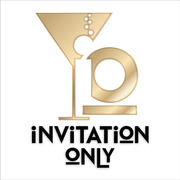 Invitation Only is an equal opportunity business! We do not discriminate against any client based on age, race, gender, disability, religion, sexual orientation or political preference! We pride ourselves on the fact that we are a small business that remembers every face that walks through our doors.